For nearly a decade, Anthonia Nwaorie dreamed of starting a medical clinic in her hometown in Southern Nigeria. Last October, the 59-year-old nurse was boarding a plane in Houston with medical equipment, supplies, and about $41,000 in cash — which had taken her years to save — when Customs and Border Protection officials stopped her. Nwaorie said she was detained for hours. 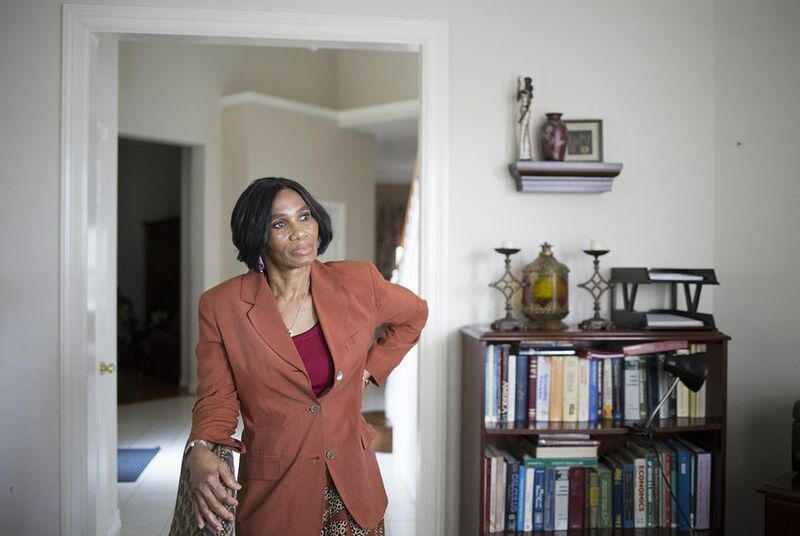 She missed her flight to Nigeria and the customs officers seized all her money. Lawyers at the Institute for Justice, an Arlington, Virginia-based public interest law firm, say her case demonstrates just how abusive the practice of civil forfeiture — which allows the government to take property that is believed to be tied to a crime — can be. But six months after her money was taken, Nwaorie has not been charged with a crime, and federal prosecutors decided not to bother with trying to seize her property through the courts. Yet Customs and Border Protection is still refusing to return the money unless she signs a so-called “hold harmless” agreement, promising never to sue the agency over the incident and agreeing to reimburse the government for “costs incurred in the enforcement of any part of this agreement,” the document says. On Thursday, the Institute for Justice filed a class-action lawsuit against the agency on Nwaorie’s behalf, demanding that CBP return her money without forcing her to sign any written agreement. They’re also asking a federal court in Houston to void all such agreements that might have been signed by others trying to get seized property back. The lawsuit comes at a time when more voices across the political spectrum are speaking out against civil forfeiture, especially in Texas. Law enforcement officials say the ability to seize property before charging someone with a crime is crucial for carrying out investigations; critics say it strips people of basic constitutional rights and that it helps police departments and prosecutors pad their budgets. Some of the state’s most conservative lawmakers sought to forbid the practice during the 2017 legislative session, but they’ve so far been unsuccessful. President Donald Trump and Attorney General Jeff Sessions are more supportive of forfeiture. Last summer, Trump reinstated a controversial federal program that lets local police hand over an asset forfeiture case to a federal agency and then split the proceeds. Local police like to do this because it’s a lot easier to seize property under federal law than it is under many state laws. The government ultimately decided not to sue Nwaorie’s $41,377. And David Smith, a Virginia-based attorney and former federal prosecutor who specializes in asset forfeiture, says that's common. Citing the government’s own data, Smith says prosecutors decline to pursue half of civil asset forfeiture cases that federal agencies refer to them. “So what that shows is that if you contest these forfeitures, which most people don’t because they can’t afford to, in 50 percent of the cases, the U.S. attorney’s office is going to return your money,” Smith said. The problem is, as Nwaorie’s case shows, that doesn’t happen right away. “We believe that in every case like this, they send out this crazy letter saying, you have to sign a hold harmless agreement or else,” Smith said. In a similar case in 2012, Smith represented a Pentecostal church secretary from El Salvador who was stopped in Virginia with $28,500 in cash — he planned to buy some land in El Salvador from an Atlanta resident and build a church on it. The church later produced receipts to show that all of the cash had come from congregation members. But Immigration and Customs Enforcement officials seized the money, and even though prosecutors declined to go after it through civil forfeiture, the man was asked to sign a “hold harmless” agreement before getting it back. Smith was able to convince the agency to back down and return the money without the need for an agreement. “But the average lawyer, not to mention people who are representing themselves, would have signed it,” he said. That’s why the Institute for Justice is asking the courts to declare that demanding people sign such agreements to get their property back is unconstitutional. Meanwhile, Nwaorie’s plans to build a clinic in Nigeria are on hold. “This is a horrible nightmare which I would not wish on anybody at all,” she said. “This is the money that I have worked hard to earn. I have the right to do whatever I please with it. So for someone to stop me and treat me like a common criminal for my money that I have paid taxes on already ... it's not right."